* Color cards are currently shown on the website. * Please refer to Merchandise Category > Acrylic Felt - Non Woven Fabric for detailed displays. * 6 products are currently shown on the website. * Please refer to Merchandise Category > Braid Tape for detailed displays. * 2 products are currently shown on the website. * Please refer to Merchandise Category > Button for detailed displays. * 23 products are currently shown on the website. 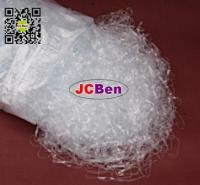 * Please refer to Merchandise Category > Chemical Lace for detailed displays. * 12 products are currently shown on the website. 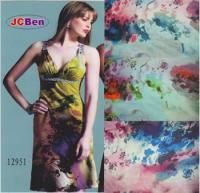 * Please refer to Merchandise Category > Chiffon Fabric for detailed displays. * 27 products are currently shown on the website. * Please refer to Merchandise Category > Collar for detailed displays. * 20 products are currently shown on the website. * Please refer to Merchandise Category > Cotton Lace for detailed displays. * 1 product is currently shown on the website. 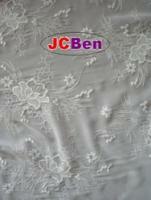 * Please refer to Merchandise Category > Cotton Lace Fabric for detailed displays. 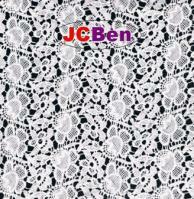 * We can make any custom cotton lace fabric for you. Please kindly send us your samples for our reference. * 6 products are currently shown on the website. * Please refer to Merchandise Category > Curtain Tape for detailed displays. * 1 product is currently shown on the website. * Please refer to Merchandise Category > Elastic Braid for detailed displays. * 5 products are currently shown on the website. * Please refer to Merchandise Category > Embroidery Lace for detailed displays. * 15 products are currently shown on the website. * Please refer to Merchandise Category > Embroidery Lace Fabric for detailed displays. * 10 products are currently shown on the website. * Please refer to Merchandise Category > Fringe for detailed displays. * 14 products are currently shown on the website. * Please refer to Merchandise Category > Furniture Elastic for detailed displays. * 3 products are currently shown on the website. * Please refer to Merchandise Category > Gold Lace for detailed displays. * 6 products are currently shown on the website. * Please refer to Merchandise Category > Interlining for detailed displays. * 6 products are currently shown on the website. * Please refer to Merchandise Category > Jacquard Elastic Webbing for detailed displays. * 16 products are currently shown on the website. * Please refer to Merchandise Category > Jacquard Ribbon for detailed displays. * 6 products are currently shown on the website. 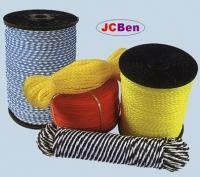 * Please refer to Merchandise Category > Jacquard Webbing for detailed displays. * 5 products are currently shown on the website. * Please refer to Merchandise Category > Jute Webbing for detailed displays. * 34 products are currently shown on the website. * Please refer to Merchandise Category > Knitted Lace for detailed displays. * 8 products are currently shown on the website. * Please refer to Merchandise Category > Mattress Tape for detailed displays. 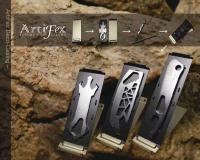 More than 30 years of metalworking, ArtiFex would like to lead the trend of metal fashion in the field. The product line combines with sleek design, functions and collectible. All exquisite products were made through lots of handmade treatment by our skilled craftsmen. ArtiFex inspires the love of metal crafts. * Custom design (made-to-order) is welcome. * Welcome to request a quote from us. * 13 products are currently shown on the website. * Please refer to Merchandise Category > Metallic Ribbon for detailed displays. * 4 products are currently shown on the website. * Please refer to Merchandise Category > Metallic Rope Cord for detailed displays. * 1 product is currently shown on the website. 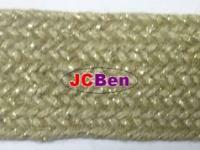 * Please refer to Merchandise Category > Narrow Woven Elastic for detailed displays. * 18 products are currently shown on the website. * Please refer to Merchandise Category > Organza Sheer Ribbon for detailed displays. * 7 products are currently shown on the website. * Please refer to Merchandise Category > Piping Tape for detailed displays. * Polyester Felt Color Cards are currently shown on the website. * Please refer to Merchandise Category > Polyester Felt - Non Woven Fabric for detailed displays. * 3 products are currently shown on the website. * Please refer to Merchandise Category > Polyester Tape for detailed displays. * 14 products are currently shown on the website. * Please refer to Merchandise Category > PP Webbing for detailed displays. * 20 products are currently shown on the website. * Please refer to Merchandise Category > Printing Ribbon for detailed displays. * Apply to the prevention of rain leakage caused by typhoon or torrential rain. * Patented (Taiwan, USA, Japan) dome strainer with wholly new innovation can make the drainage outlets no blocking anymore from torrential rain or typhoon. Directly put the protection cover over the drainage outlet and free of construction. * The patented movable fences can pin up the groud. * Our product can speed the capacity of the drain compared with the regular bronze drainage covers. * Use our product can prevent all drain problems (wall seepage) cuased by torrential rain or typhoon. * Blocking leaves or sediment won't affect the drainage function. 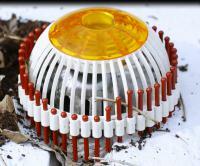 * The circular basket design can withstand the maximum of 12-level winds. * 5 products are currently shown on the website. * Please refer to Merchandise Category > Reflective Vest for detailed displays. * 4 products are currently shown on the website. * Please refer to Merchandise Category > Rope for detailed displays. Desk+1 means adding one more item on the desk. 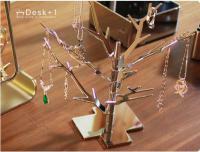 The product line includes metal stationery, souvenirs and innovative handicrafts. Desk+ 1 adds not only one unit, but also more functions (desire, passion, beauty ... etc.). This is the basic philosophy of brand "Desk+1". Desk+1 will bring you a bright-up and positive life philosophy by way of our aesthetic and functional products. * 12 products are currently shown on the website. * Please refer to Merchandise Category > TC Embroidery Lace Fabric for detailed displays. * 24 products are currently shown on the website. * Please refer to Merchandise Category > TC Lace for detailed displays. * 3 products are currently shown on the website. * Please refer to Merchandise Category > TPU Tape for detailed displays. * 5 products are currently shown on the website. * Please refer to Merchandise Category > Twisted Cord for detailed displays. * 3 products are currently shown on the website. * Please refer to Merchandise Category > Velvet Ribbon for detailed displays. * 8 products are currently shown on the website. * Please refer to Merchandise Category > Woven Elastic Band for detailed displays.